The Triumph Bonneville is as iconic as it gets when it comes to classic motorcycles. In fact, it's the quintessential classic, as we know it, and the Bonneville T120 is the epitome of the classic '60s motorcycle. 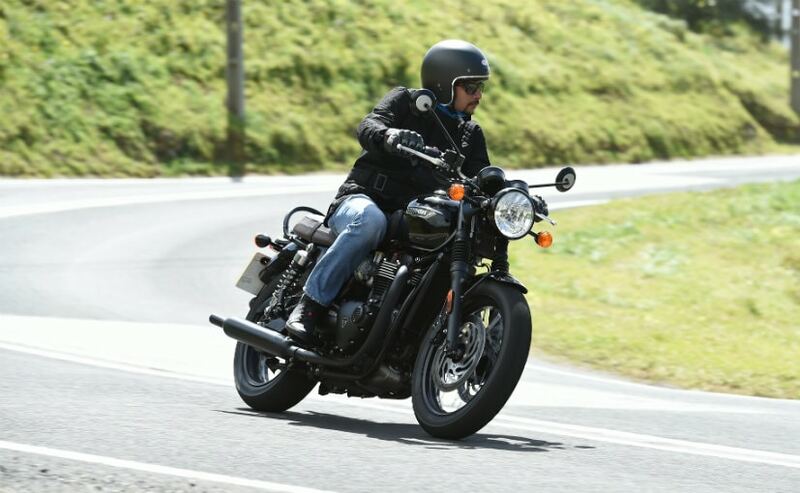 And we ride the new Triumph Bonneville T120 Black around sunny Cascais, Portugal. The 2016 version of this modern classic has gone even more modern - with all the tech wizardry available in any contemporary motorcycle - ABS, traction control, ride-by-wire throttle, riding modes - the works! It's an all-new bike, new aesthetics, new suspension, new chassis, and an all-new engine, which now gets liquid cooling. 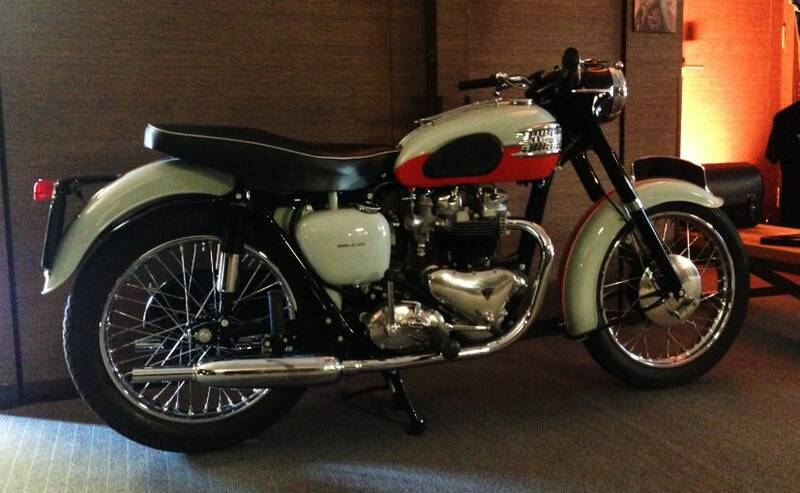 The first Bonneville T120 was launched in 1959 by the British motorcycle manufacturer. The Bonneville name though, comes from the other side of the Atlantic, from the Bonneville Salt Flats in Utah. More precisely, from the achievements of Texas racer Johnny Allen who achieved a top speed of 311kmph (193.3mph) on his special motorcycle, called the Devil's Arrow - a 650cc twin-cylinder Triumph engine fuelled by methanol and mounted on a streamliner fairing at the Bonneville Salt Flats. Following Allen's records in 1956, Triumph decided to name the Bonneville T120 in his honour. During the '60s motorcycle racing scene, the Bonneville T120 won the Production Isle of Man TT in 1967 and in 1970, when Triumph set a landmark in TT history with Malcolm Uphill averaging 160kmph (100mph) around the mountain course on a Bonneville. That was the first time a production motorcycle had ever passed the 100mph mark from a standing start. The Triumph Bonneville T120 was in production till 1975 when labour problems affected Triumph, and it was almost the beginning of the end for the original Bonneville. Under new ownership, Triumph revived the name in 2001, with several upgrades over the years, with electronic fuel injection making an appearance around 2008-09. But the simplicity of the classic was maintained, with some modern technical upgrades to the engine. That is, until 2015, and now, Triumph has decided to build an all-new Bonneville from the ground up. And this is what we are riding. The designers at Triumph decided to keep the classic lines of the new Bonneville T120 intact, and that's a very good thing. It's certainly nostalgic, evoking the same old '60s motorcycling style, and a silhouette that remains unmistakably classic. Even the paint schemes on the new Bonneville T120 have been inspired by the original classic. The engine is all-new, but boasts larger displacement at 1200cc and more power (79bhp at 6550rpm and 105Nm at 3100rpm). The engine may be bigger, but the engineers at Triumph have managed to squeeze the new parallel twin unit into the same dimensions as the outgoing unit. The instrument panel retains the classic twin-pod structure with a speedometer and tachometer, but gets an additional LCD display with riding mode setting, two trip meters, service indicator, gear position indicator, range to empty, fuel level, average and current fuel consumption, clock and access to turn off the traction control. Then there are the LED DRL headlight, LED taillight, heated grips and spoked wheels. The result is a motorcycle that certainly pays a fitting tribute to the original, but in essence the Bonneville T120 is an all-new, modern motorcycle. The Bonneville T120 Black we are riding comes with blacked out details and components and is available in two colours - jet black and matt graphite. 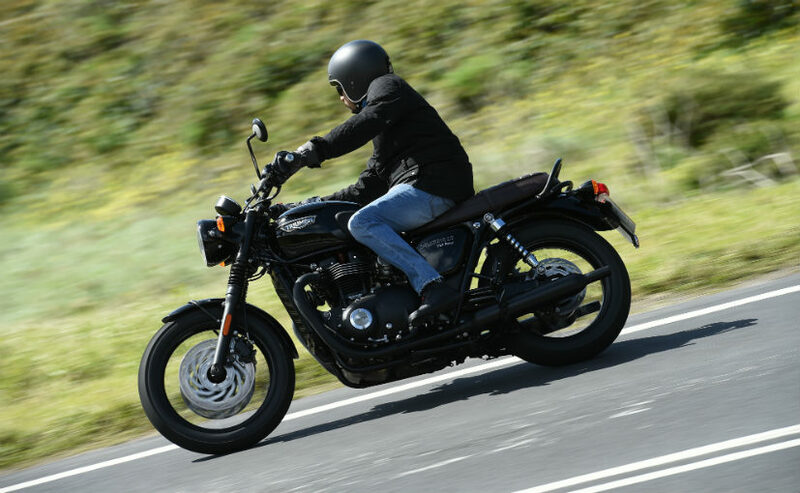 In India though, only the standard Bonneville T120 will be sold, with brushed aluminium covers and chrome finishes. The engine is an all-new 1200cc parallel-twin unit, which Triumph calls the high-torque engine. It gets liquid cooling (a first for the bike), and makes higher torque much lower down in the rev range than the outgoing Bonneville T100 - a full 54 per cent more torque than the T100. There's more power too - both lower down and across the entire rev range - and at 79bhp, it makes 18 per cent higher peak power than the previous T100 and at 4500rpm makes 50 per cent more power. 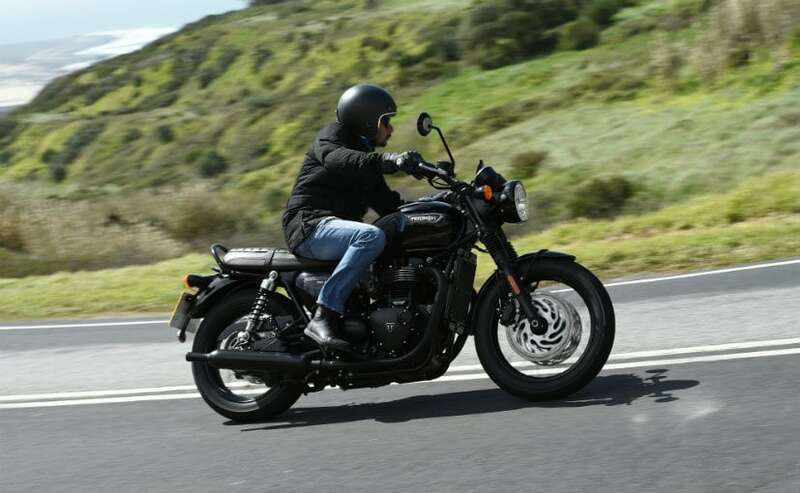 What's more significant is the amount of tech the Bonneville T120 gets - there's ride-by-wire, two riding modes (Rain and Road), ABS, switchable traction control and liquid cooling. Swing a leg over it, and it's immediately apparent - the friendly ergonomics. The flat seat is comfortable (should be for the pillion too!) and the wide handlebar gives you a sense of comfort and easy manoeuvrability. The twin pea shooter type exhausts emit a nice bassy soundtrack and overall the T120 feels easy and relaxed to ride. We leave the coast and head inland. 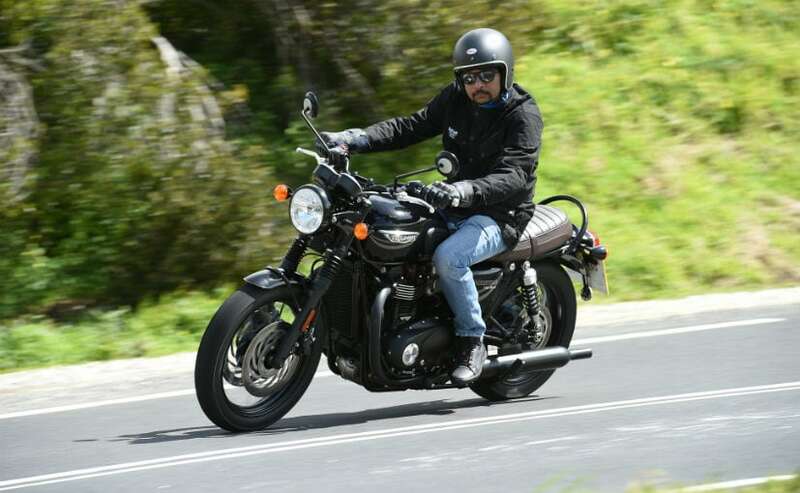 Around the rolling hills of Cascais, the T120 shines - be it the ride, taut, yet plush and comfortable, and the front end hands out a lot of confidence to go around corners at a brisk pace. The high-torque motor lives up to its name and the T120 shrugs off uphill climbs, without needing too many downshifts. Open the throttle and you don't really need to redline to get entertaining performance; 3000rpm onwards the motor seems to wake up with urgency and pull you with instant likeability. The bike weighs 224kg in the dry but you just can't make out all that weight. The centre of gravity is low and once on the move, you can flick it from side to side through the twisties without ever feeling any sense of discomposure. The twin 310mm discs at the front, coupled with a single 255mm disc at the rear offers confident and effortless stopping power, and is more than enough to shed triple digit speeds in a hurry. Is it your kind of motorcycle? 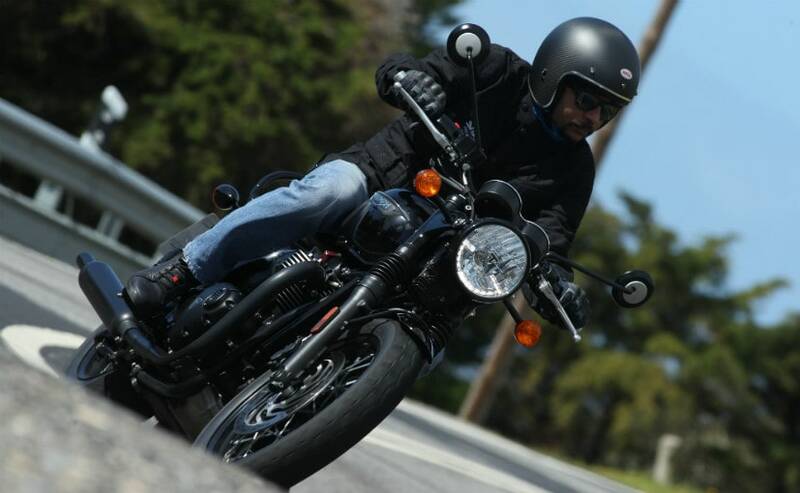 The Triumph Bonneville T120 Black we are riding will not make it to India, but the changes are mostly cosmetic. The standard T120, the one that we'll get in India, gets all the same equipment as the T120 Black. The only difference is in the paint and chrome bits; of course you get the classic two-tone paint schemes as well on the T120. 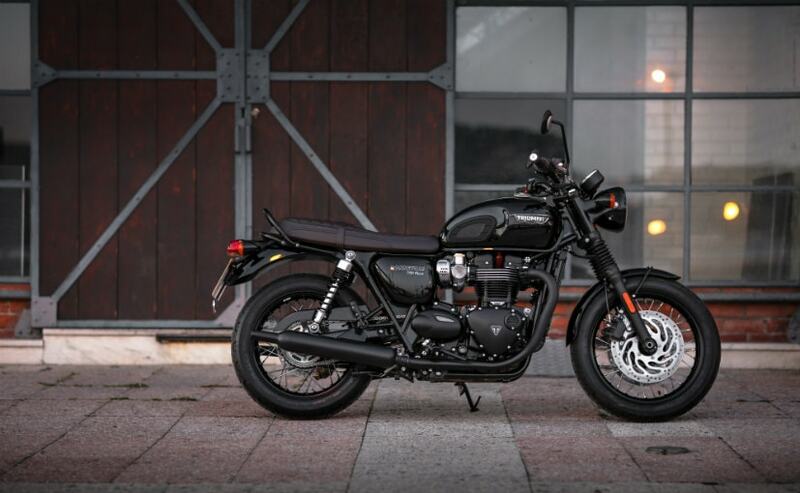 All said, the Bonneville has got a complete makeover; don't let the looks fool you, it's an all-new motorcycle from the ground up and could well be the best Bonnie yet, with performance to back its legacy. So, whether you're seeking a relaxed ride soaking in the sights, or seeking some occasional thrill, the T120 has it all. 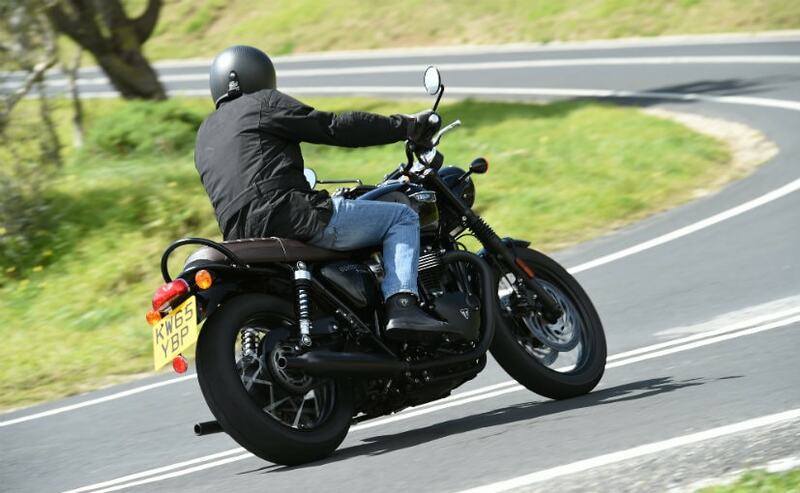 It's got the relaxed demeanour which will suit new riders, or riders upgrading to a high capacity motorcycle, yet has the performance to entertain even experienced riders alike. In a way, Triumph's classic just got way better. The icon lives on; it's got all the tech of a completely modern motorcycle, yet manages to look like the authentic classic. And yes, you can commute on it, hang out with your biker buddies over the weekend and also tour on it, clocking hours and hours in the saddle comfortably. At Rs 8.7 lakh (ex-showroom Delhi), the Triumph Bonneville T120 is priced right in the middle of the entry-level superbike territory. 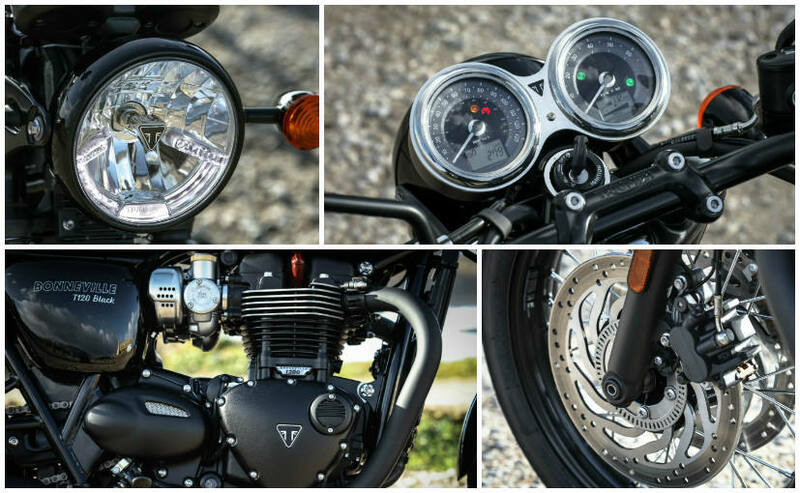 Classic looks and now with completely modern technology, the Bonneville T120 is a package that is difficult to resist. And yes, if you are the kind that wants to look classic cool, there's nothing else that comes close to the Triumph Bonneville T120.